By now you may have seen the many HGH review web sites that claim to have compared and rated various products, including some that masquerade as consumer advocate sites. Such sites are scams. They are not unbiased and they have done absolutely no legitimate clinical studies to measure the effectiveness of different products. They are merely web sites that are being used to try to make money. Some sites are built by sellers as a way to help them sell their own products. Others make money by showing advertisements. They Are Not Consumer Advocates! All the HGH product review and rating web sites (including ".org" sites) are really unbelievable. I find it hard to believe that the owners of such sites expect intelligent people to fall for such an obvious scam, but they are correct in their expectations because some people are choosing a product based solely on their fake reviews, ratings, and recommendations. The owners want such web sites to appear to be a sort of independent HGH Consumer Reports. They want you to believe that some unbiased company or person that doesn't make any money selling human growth hormone products or showing ads decided to spend their money to somehow compare and rate different products and then pay for a web site and advertising on search engines so you can find them so they can do you the favor of telling you which product you should buy! Such web sites have no connections to the well known Consumers Reports magazine that accepts no advertising but is supported by millions of subscribers and newsstand buyers. They are owned by product sellers or by advertisers whom the seller must pay in order to have his product listed with a link to his own web site; and the more he pays the higher his product is rated. Some Even Claim They Have Rated Our Products! There are even sites that claim to have reviewed and rated our ProBLEN products. According to legitimate independent randomized double-blind placebo-controlled IGF-1 clinical studies that measure the increase of IGF-1 in the blood of patients during clinical studies we are rated #1. PLEASE NOTE: IGF-1 is used to measure growth hormone in the body because it is stable in the blood and reflects the amount of HGH in the body. HGH remains in the blood for only a couple of minutes after it is released. It is quickly taken in by the liver and converted into IGF-1 and other growth factors. Of course they don't mention our independent clinical study results in their reviews. They would prefer that you didn't know that real clinical studies exist because once you learn that proper clinical studies are the only legitimate and medically accepted way the effectiveness of any medication or health product can be measured you will see their reviews for what they are, only scams. The HGH review web sites make it sound like they are rating human growth hormone products the way Consumer Reports rates washing machines. Products that are ingested into the body cannot be rated the way you would rate a common household item. 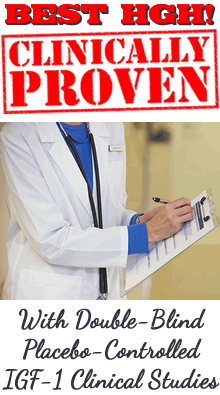 To measure the true effectiveness of any health product clinical studies have to be done. Most companies/sellers have no legitimate clinical studies to show that their product is really ranked #1 for effectiveness which is the reason for all the so-called product review web sites. By building such a site sellers are able to claim their product was ranked #1 by some comparison done by some unnamed source. The people who own these sites have done no clinical studies and they are not qualified to do any such studies. They just think they can outsmart you with their fake reviews and ratings! How Could They Rate Different HGH Products? Now lets consider that the owners of the product review consumer web sites claim they have compared and rated different products but they don't tell you how they did this. There are now numerous products on the market. Proper comparisons would be very expensive and would require months of preparation and then years of actual "comparing". Even if they compared only 5 products, the cost, time spent, etc., would be extensive. Proper comparisons would require that each product be compared the same exact way and under the same exact guidelines and circumstances. Also, any sort of comparison would not be seen as legitimate if it did not include measurements such as IGF-1 blood levels because it would not contain any solid evidence. The comparisons would only be based upon the different test subject's perception of their benefits and since every person has a different perception any such comparison could not properly reflect the true effectiveness of the products compared. Just think about it, how did they come up with the ratings they give the various HGH products? What did they do, just ask people who have taken different HGH products how they liked the product? How could they find those people? The only people they would know about are their own customers. I am sure the sellers of the other products did not hand over their list of customer names, phone numbers or e-mail addresses so a competitor could contact them. Surely they wouldn't allow anyone who visits their web site to write a product review since anyone can write anything, whether they have taken the product or not, and of course sellers would be able to write reviews on their own products and also on their competitor's products! Surely this is not the way they came up with their ratings. Lets say the people who own the product rating sites somehow obtained the contact information of people who have tried different products. What could they do, ask each person how they liked the product? Is that all there is to their comparisons and ratings? What if the person didn't take the product as directed? Obviously they would not have received good results and so they may give that product a poor rating, but no product can be effective if it is not taken correctly. Since the contact information of people who have tried different products probably didn't magically fall into their hands lets say the owners of these web sites did the comparisons and ratings themselves. What could they do, buy one bottle of each product and have one person try each one and then ask that person which he liked best? That's not very scientific is it? They could not have one person take one product and another person take a different one due to the difference in people's bodies, their health, their perceptions as I mentioned above, and the way they would take the product. To compare different products, first of all, the study would need to be done independently and not be done by anyone who stands to gain financially. Each person in the study would have to take all the products one at a time for several months and the study would have to be controlled and monitored to make sure the person took each product exactly as directed. The person could not know which product he was taking and he possibly would take a placebo without knowing it to make sure he was not just receiving placebo effects. Otherwise, the studies would not be fair and accurate. Most importantly, blood measurements of the amount of human growth hormone in the body would need to be done just before the study started, and again at the end of the study. Such a comparison would take several years to complete because each person would have to wait several months in between taking each product to let the effects of the previous product wear off. Of course the people who own the product rating web sites won't give you any specifics about how their comparisons were done or how they came up with their ratings because it is all just hype! It would be much easier to have proper independent randomized double-blind placebo-controlled IGF-1 clinical studies done on their own product. Perhaps they are afraid of what legitimate clinical studies would show? They won't have their own product properly tested with clinical studies, which is the only medically accepted method of evaluating the effectiveness of pharmaceuticals and health products, yet they expect you to believe that they have somehow had many different products compared and rated. 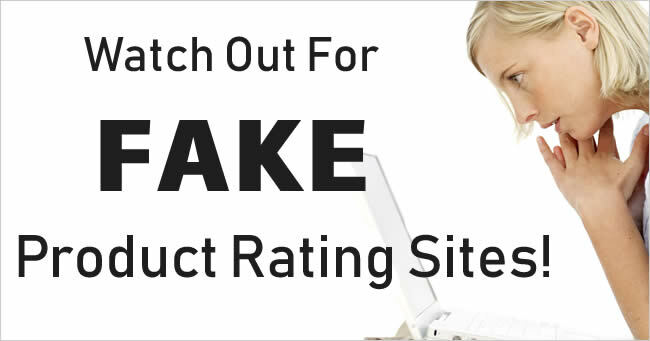 So a more believable explanation regarding the product rating, review, and consumer-type web sites is this; sellers have made these sites to help them sell their own products. They give their sites independent sounding names and URL's (including .org) so visitors will believe that some independent source has compared different products and chose theirs as best. These days anyone can purchase a web site domain name for about $8 a year and they can pay a virtual hosting company about $4.95 per month or even less so such sites are really a very cheap way to advertise. If you are wanting to know which product you should choose don't fall for their scam, look to see which products have had proper clinical studies that measured effectiveness. Click to see the results of the clinical studies done on our HGH formula. Evidence That Exposes the HGH Product Rating Sites! One way to know who owns a certain consumer-like product review web site is to compare the "whois" (who owns the site) for the consumer web site and the main web site of the product that consumer site recommends as best. According to "whois", a very highly advertised HGH product consumer ratings web site is owned by the same company who owns the product they rate #1! If the product review and rating web site belongs to an advertiser; someone who is making money by advertising the HGH products of others, look for a link called "advertising", or something similar on his page. One such product review and rating web site shows an advertising link right at the top of the home page! Can you believe this? To me this means the site owner believes his visitors are too ignorant to realize what he is doing so he can place his advertising link right at the top of his home page for all to see. He does this so that other distributors can easily reach him if they decide they also wish to pay him to list their products and give their products a make-believe rating, and this arrangement includes a link to the distributor's own web site. As stated above, the most advertised HGH consumer review web site is owned by the same company who owns the product they rate #1. Other product rating web sites are owned by mlm distributors. To know if the product rating web site is owned by an HGH distributor, just click on the links of the products with high ratings, this will take you to his other web sites where he sells those products. Also, when you click on a product link on the product review web site you can pay attention to that link's URL (the web page address that the link will take you to) in your browser address bar. If the product's web page address contains numbers or random letters, this is his mlm distributor number that gives him the credit for your sale. Lastly, there are some people who have made HGH product review web sites and they make a different web page for each product on the market. They write a short so-called review so they can stuff each page with keywords so it will hopefully be found on search engines whenever someone searches for that particular product. Besides their review of the product, on each web page you will also find Google Adsense or Yahoo paid ads all up and down both sides of the page and/or on the top and bottom of the page. Every time someone clicks on any of those ads the owner of that product review web page makes money! People who make pages such as these are using them to make money on the ads they show. Please keep in mind that sellers also know how important clinical studies proving effectiveness are so even though their product has had no legitimate clinical studies they may claim that it has. They may even make up clinical results that do not exist, or copy the clinical results of others. There have been instances where we have found our own clinical study results displayed on web sites selling other products. Just because a web site says that a certain product has been clinically tested, do not assume it is true. When a web site claims a product has had clinical studies make sure you see the study results, along with the doctor's and facility's names (names that are legible, and not just a photo with signatures that cannot be read) as part of the clinical results. Also, make sure the studies were done independently. More information about proper IGF-1 clinical studies and specific false clinical study claims.